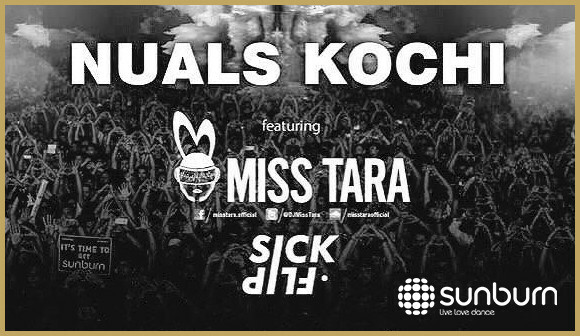 Miss Tara joins festival powerhouse Sunburn for a not to be missed outdoor music event for thousands of Kochi EDM lovers. Asia’s largest music festival brand, Sunburn produces several large outdoor events across India that draw hundreds of thousands of EDM fans yearly. Miss Tara recently headlined Sunburn’s Kochi festival performing for over 3,000 frenzied college students. Tara Mobayen aka Miss Tara began her DJ career in Paris before moving to Canada where she plays regularly between tours across Americas, Europe and Asia. When she’s not performing, Miss Tara is hard at work in the studio creating chart topping original music for the masses. A consummate performer, Miss Tara is always engaging and entertaining. She loves to showcase her fashion-forward style and has a reputation for dancing on stage. Miss Tara’s signature sound is a high energy blend of electro, tech and funky house.